John Duffin has been described by The Guardian as "a rising star. His rich and vibrant paintings are quite simply things of beauty.” Known for his ability to capture urban life, his exhibition at For Arts Sake gallery will feature prints, paintings and etchings of London taking in various recognisable views and landmarks. John Duffin’s solo show at For Arts Sake features 60 prints, paintings and etchings of London, taking in his views of city life from Greenwich to Kings Cross, via Soho and across the river to Battersea. Working from drawings he has made out on the streets, he has created a body of work that has drawn comparisons to Hopper, Sickert and Lowry and has influences ranging from cinema, graphic novels to historical paintings. His work however is distinctly original and recognisable through its rain covered streets, neon lights and a dynamic eye for urban composition. A methodical process and use of line involved in etching, enables him to distil his visions of the urban world and create striking images with great subtlety and mood. Duffin was recently awarded “Most Outstanding Print Award’ in London by Sir Peter Blake RA for one of his etchings. Mark Brown, Guardian Arts Correspondent writes “John Duffin is a rising star. His rich and vibrant paintings are quite simply things of beauty.” And Philip Pearson from The Independent says “He is a 21st century LS Lowry”. 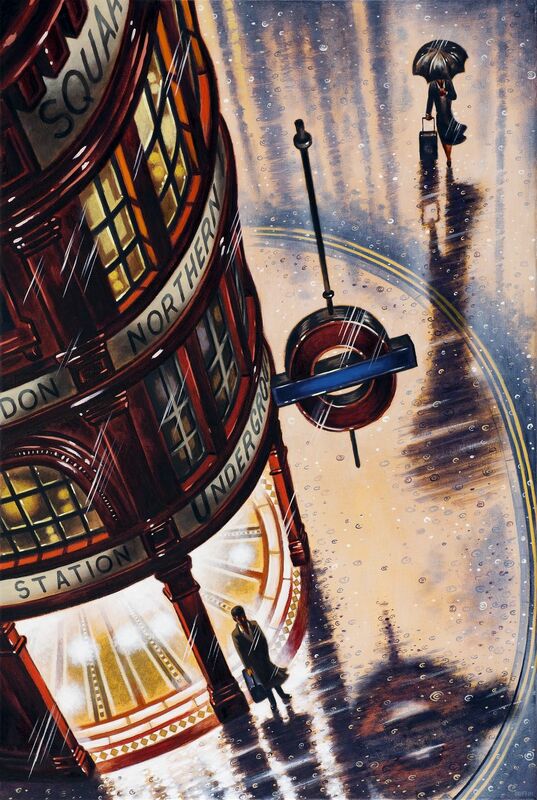 John Duffin trained as a Draughtsman and Naval Architect in the shipbuilding industry at Barrow-in-Furness in Cumbria before studying Fine Art at Goldsmiths’ College in London, where his contemporaries were many of the YBAs of the Britart generation. 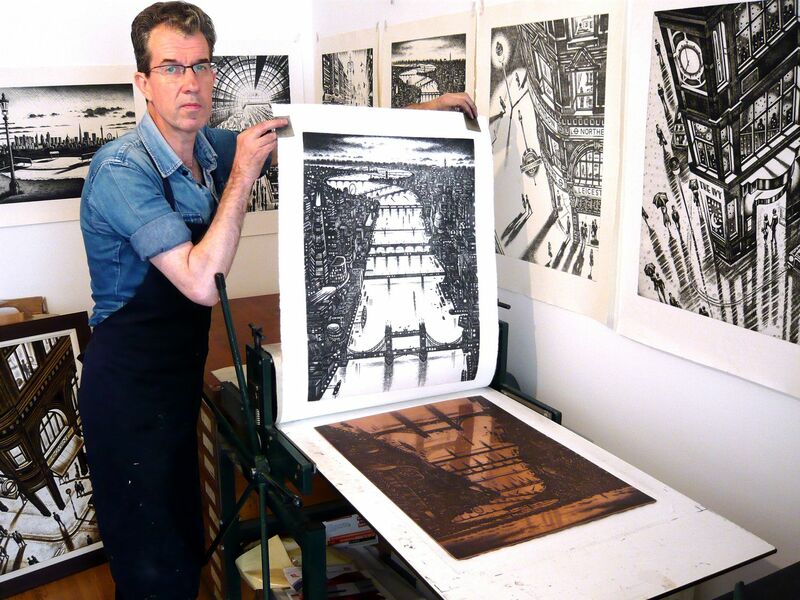 He then went on to take a MA Printmaking at Central St Martins in London and became a member of The Royal Society of painter Printmakers (RE) and has exhibited his prints at the Royal Academy Summer Exhibition consistently for the last 20 years. 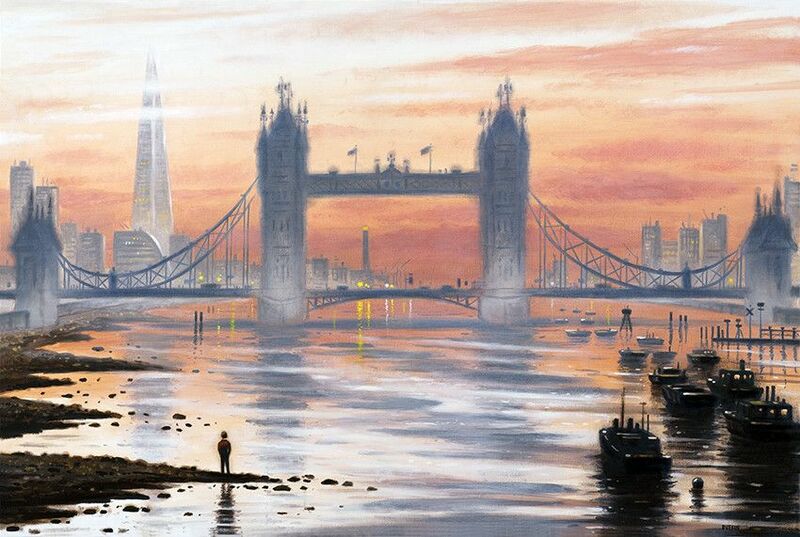 He has won many awards for his paintings and prints and his work is in many public and private collections. 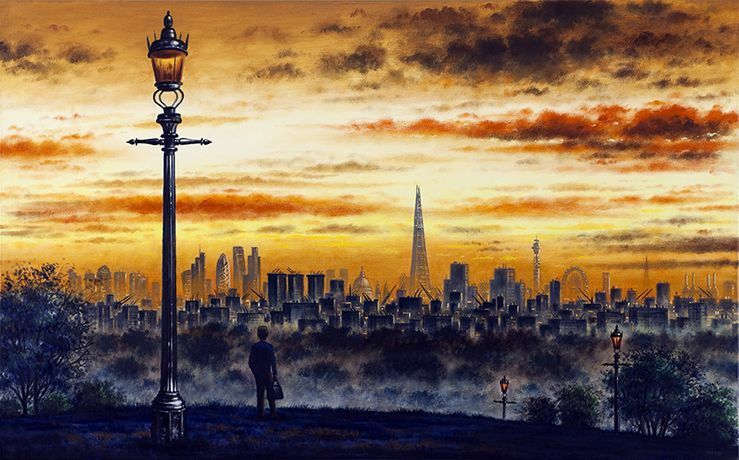 His work has been praised and collected by many private buyers including Sam Mendes, Polly Toynbee, Hunter Davies, Libby Purves and many other discerning collectors. 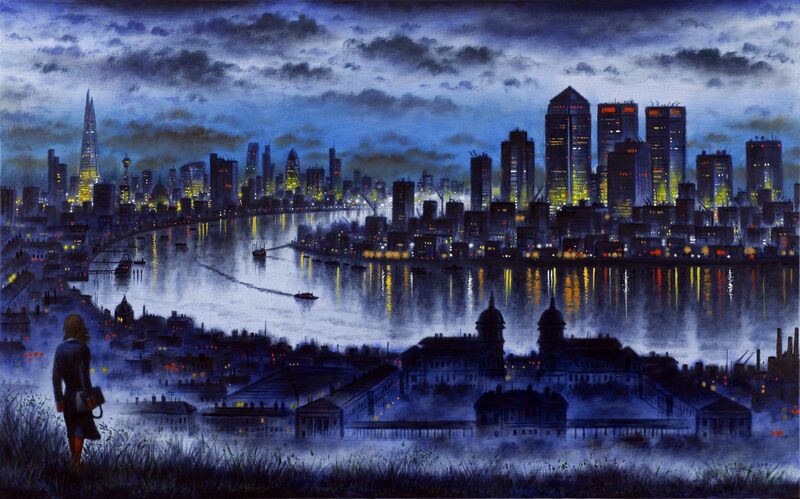 He has appeared on BBC National News and BBC Radio 4 discussing his work and has had 3 books published on his paintings.